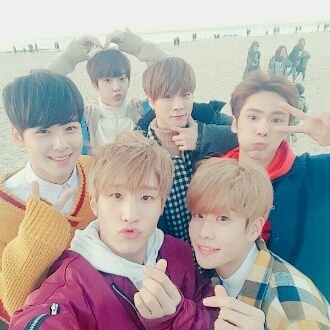 ASTRO (아스트로) is a South Korean boy group that consists of 6 members: JinJin, MJ, Cha Eunwoo, Moonbin, Rocky and Sanha. The group debuted on February 23rd, 2016, under Fantagio Entertainment. Birthplace: Ilsan, Gyeonggi-do, South Korea. 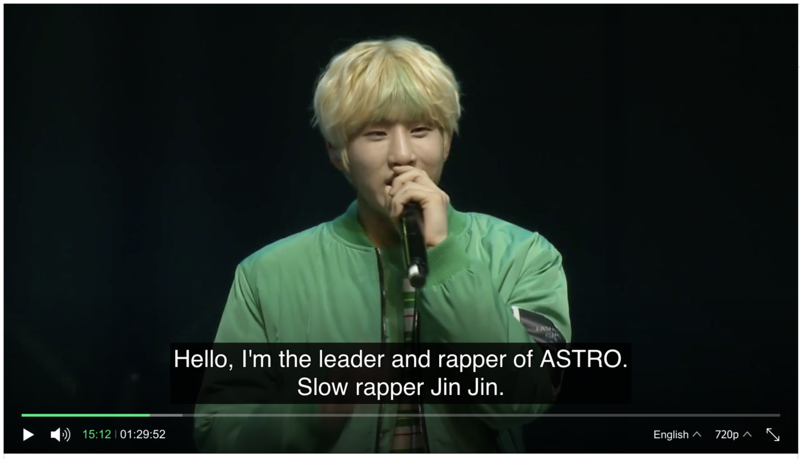 – He’s often called the Slow Rapper because of how slow he talks. 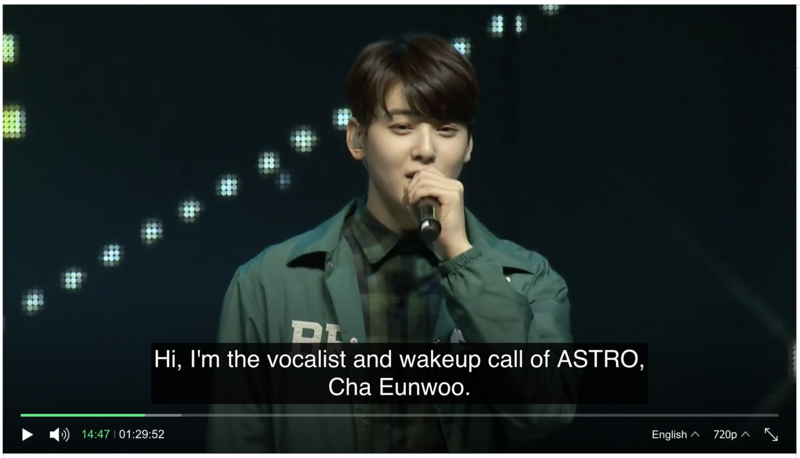 – According to Eunwoo he is the latest member to wake-up in the morning. – He always takes his cellphone with him, even when he goes to the bathroom. – JinJin and Wanna One’s Ong Seongwoo attended the same school but Ong is a senior. From there, they become close to each other. – JinJin is good at beatboxing. (The Immigration). – If Jinjin was a girl, he would date Eunwoo because he is extremely handsome. – In the new dorm, Jinjin and Moonbin share a room. – His nickname is “The Happy Virus”, because he’s always laughing. – Personality: he jokes a lot and is mischievous. – He calls himself “Smile Engine”. – His favorite colors are Mint and Yellow. – His favorite Marvel’s character is Iron Man. – He is the most talkative member in the group. – His favorite food is seafood and he says he would like to open up a sushi restaurant one day. – The first person he befriended when he joined Fantagio was Sanha. – He wanted to be an architect when he was younger, however he gave up the dream when he realized how much studying was involved. – MJ is friends with MYTEEN’s Xiheon. – If MJ wasn’t a singer, he would be an architectural designer. – MJ’s ideal type: A girl with a nice smile, a good sense of humor and who is similar to him. 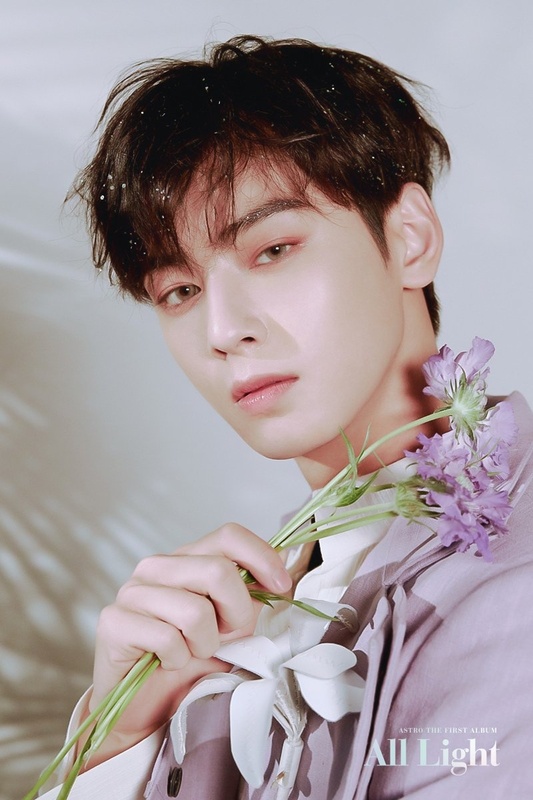 – Eunwoo acted in the webdrama “My Romantic Some Recipe” (2016), in the Korean Drama “The best hit” (2017), he also had a cameo role in the webdrama “Revenge Note” (2017). – He’s friends with Seventeen’s Mingyu. – Moonbin’s childhood best friends are iKON’s Chanwoo and SF9’s Chani. – Moonbin is close with GFriend’s SinB. Moonbin and SinB are childhood bestfriends. – Moonbin is friends with BTS’ Jungkook and Seventeen’s Seungkwan. 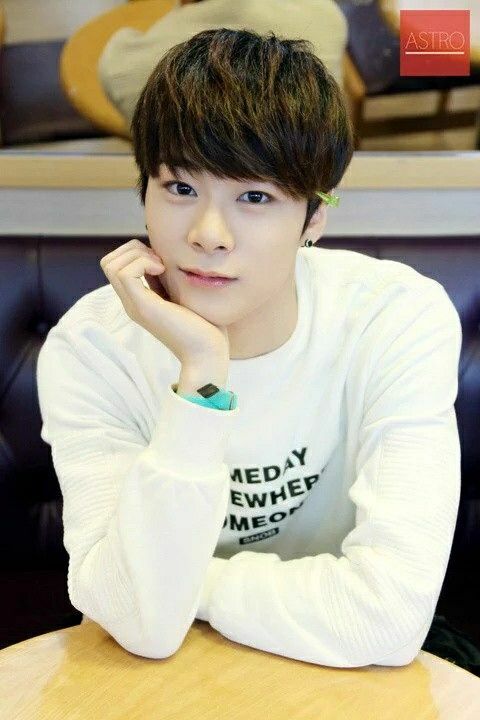 – If Moonbin was a girl, he would date Eunwoo because he is handsome and he would take care of him. – Minhyuk is the 1st trainee that was officially introduced with Photo Test Cut. – He attended the same dance school along with SinB of GFRIEND and Eunseo of WJSN. – Rocky is friends with Monsta X’s Jooheon, Lee Suhyun of Akmu, Kim Sae-ron and Seungkwan of Seventeen. – He is allergic to seafood. 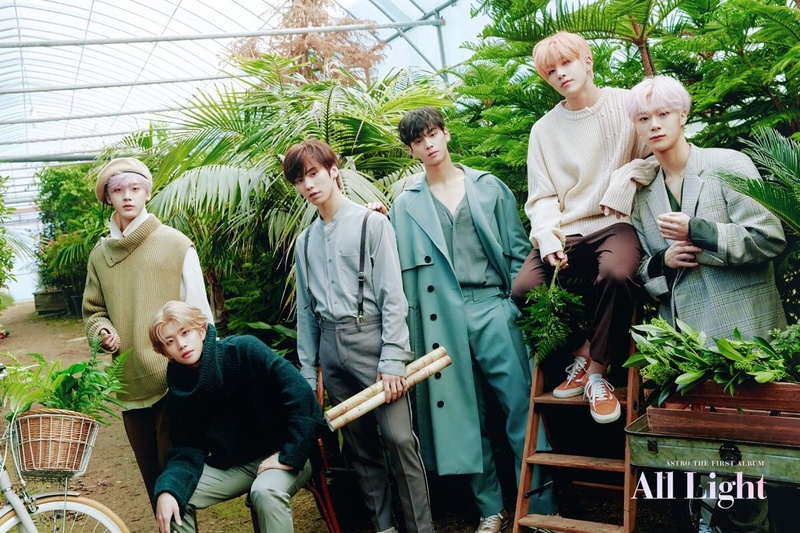 Who is your ASTRO bias? Thank you so much for making their profile! So complete!!!! Love it!!! thanks for making this profile, so complete! I always check kprofiles when I want to get info because you guys make so good profiles. thanks!!! 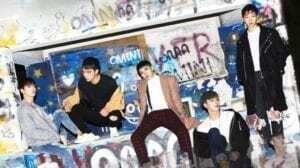 Could you please update the photos to their recent comeback teaser photos? Why JinJin got the least votes on bias? 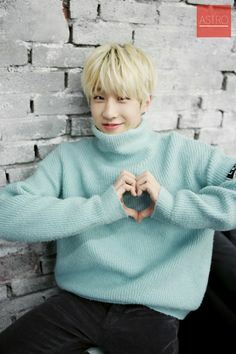 Jinjin is cute and funny. I felt so bad on him. He is my second bias. My bias is Eunwoo. for me he is no. 1. tastes are different though. 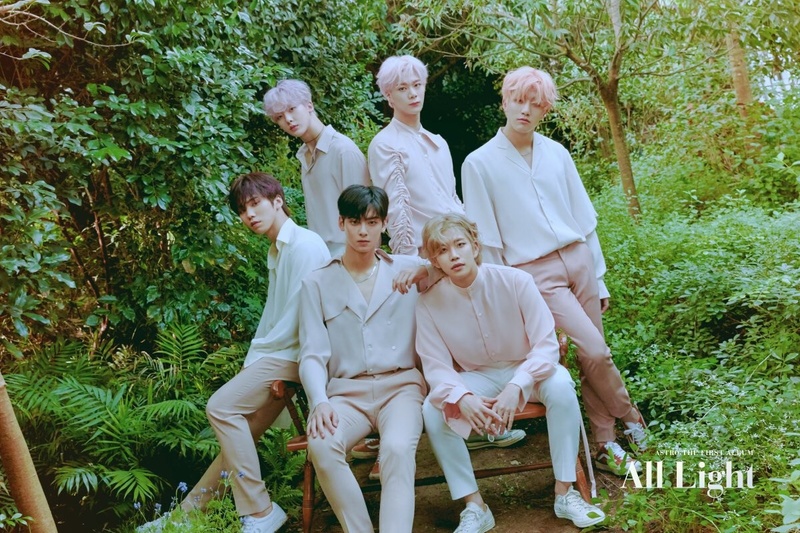 San Ha is now the tallest member of Astro for as long as I remember he’s height is now ranging from 184 – 185 cm I’m not sure if it’s 6’0 or 6’1 but if you watched his self camera in V Live when he is at the Playground I remember him saying that he is now the Tallest member of astro. “A girl who thinks about him a lot and asks him about his day.” I think he’s talking about me for a second…. how I wish I was..
thank you for became ASTRO!!! !!! !please dont change your concpect!!! He probably wouldn’t join Astro, I think. 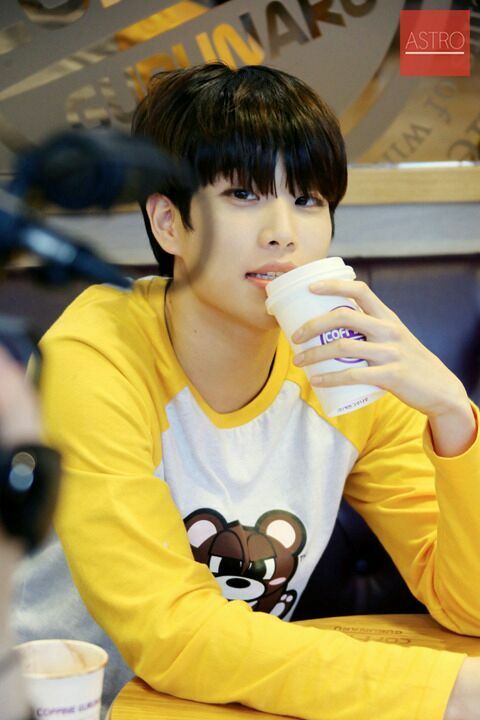 He is close with GFriend’s SinB. Moonbin and SinB are childhood bestfriends. Sanha almost didn’t make it into Astro, but then he had a growth spurt and was then able to be included! Moonbin dont like raw fish. If he have a chance, he wants to be an actor (because their company is an acting company). Cha Eunwoo was starred in Hello Venus Mysterious. 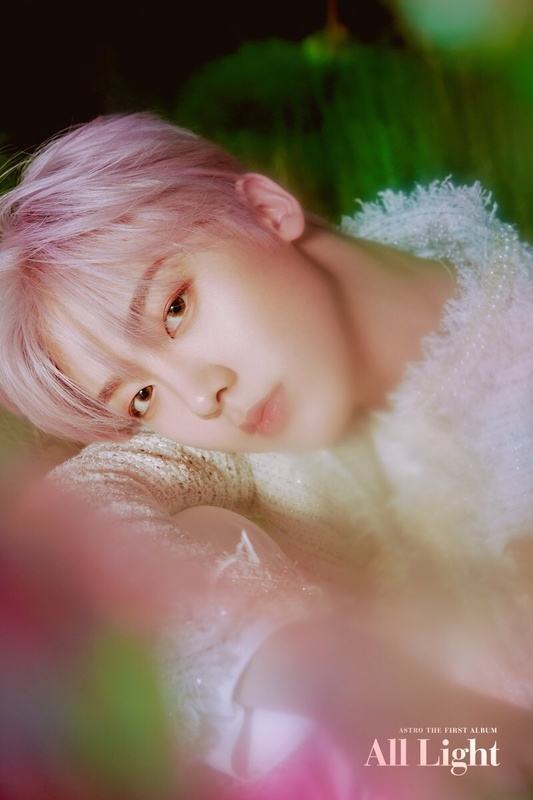 Wait, is Sanha actually a Christian?? Cha eun woo!!! he has it all! So how to differentiate the hyung line and the maknae line? 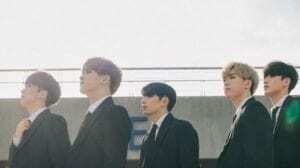 is it like 3 per 3 (MJ, Jinjin and Eunwoo being the hyung line and Moonbin, Rocky and Sanha being the maknae line) or what? 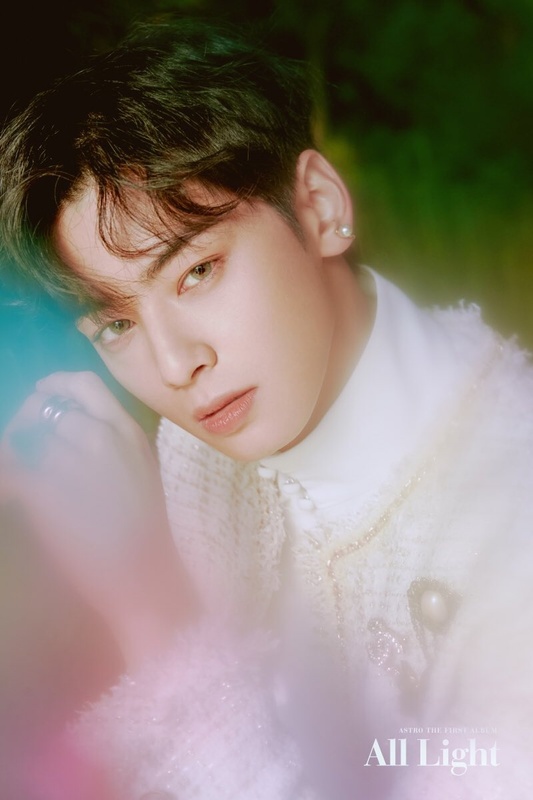 Cha Eunwoo is seriously the BEST VISUAL in Kpop. “Sanha’s ideal type: A girl who thinks about him a lot and asks him about his day.” Who wouldn’t want this tbh. Like no I want a SO who doesn’t think about me and is a self-centered prick. Moonbin’s bestfriend Kang Chanhee (as in SF9’s Chani) right? Moonbin’s favourite colour is Green (Mint Green) and Sanha’s favourite colour is Sky Blue. Where did you find this? I know MJ’s favorite color is Mint and Moonbin’s favorite color is Black. Do they have their own sns accounts like Instagram? I’m stuck between Moonbin, Eunwoo, Sanha, and Rocky.. 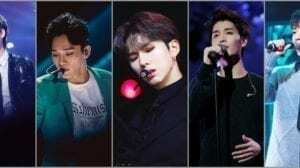 If it helps, Eunwoo did two special stages, one with Day6’s YoungK, N.Flying’s Jaehyun, Super Junior M’s Henry and B.I.G’s Benji, where they sang Love Yourself by Justin Bieber and he played the piano. And the other with VIXX’s Hyuk, Monsta X’s Hyungwon, Halo’s Ooon and UP10TION’s Wooshin, where they sang Perfect Man by U-KISS. okae. moving to astro now. I’m guessing he told people he’s Christian. 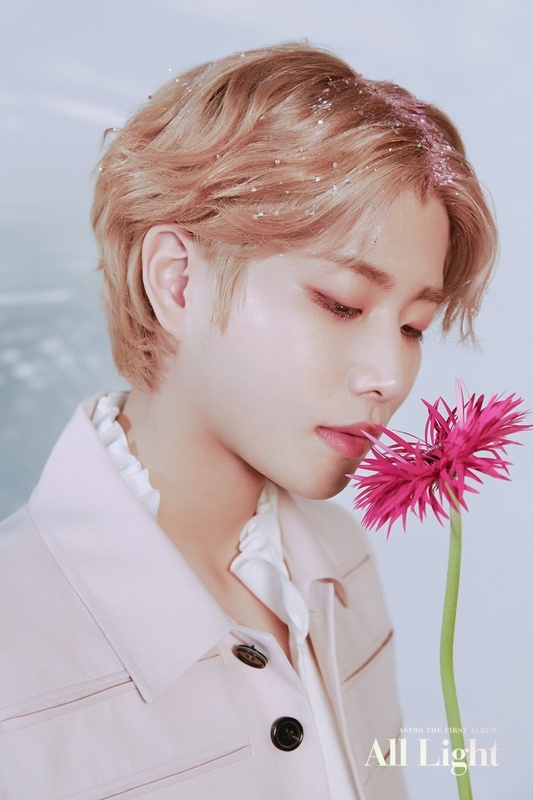 I’ve got some fun facts about Myungjun! – one of his special talents is impersonations! He’s shown us his impersonations of kwanghee, Park Jaebum, Yoon Moon- Shik, Ha Dongyun, zion.t, Lee Sung kyun aand Lee Saedol! – He also does a great impression of a camel, chicken, baby chick and ‘aegyo duck’ ! All of them are on the weekly idol episode they appeared on during autumn story! – his favourite food is seafood and he says he would like to open up a sushi restaurant one day! – he wanted to be an architect when he was younger however he gave up the dream when he realized how much studying was involved! really? *_* did he say so? where? MJ is friends with MYTEEN Xiheon. MJ mentioned in an interview with Naver, He said they trained together and that he hopes both of them succeds. astro tweeted that they are a fan of highlight. 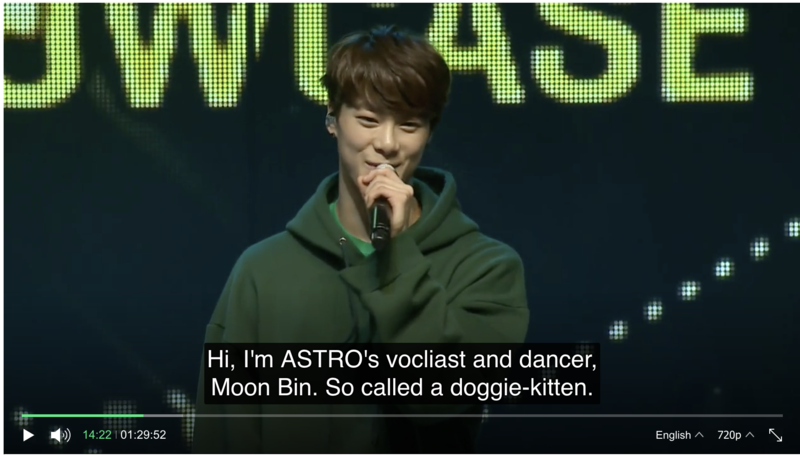 Moon Bin is known by Aroha’s as Astro’s Puppy-Cat. Lee Suhyun of Akmu once mentioned in an interview that she went bowling with Kim Sae-ron, Rocky of Astro and a member of Seventeen. She mentioned that they are close friends that’s why they went bowling. Eunwoo plays main lead role in webdrama titled “My Romantic Some Recipe” and Astro made a cameo at the end episode. He also plays supporting role in Revenge Note as himself. 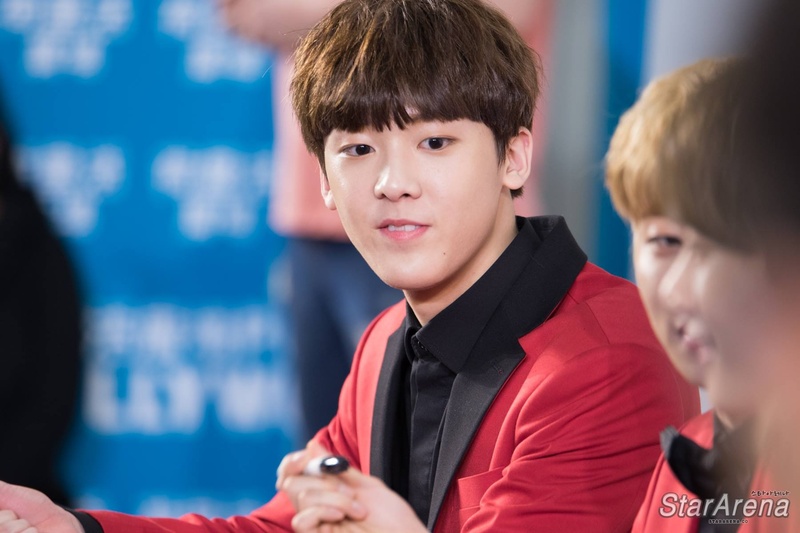 sanha is so young omo!! Who said that his jokes are lame? who knows Kang Chanhee from SF9?? Just saw that he modeled with Moon Bin!!! Proud Aroha and Fantasy!! On Happy Together 2016.10.20, Eunwoo said he didn’t do much to deviate from his routine and Hyunmoo asked him, “You’ve watched adult moves, right?” and Eunwoo awkwardly smiled meaning he had. They are actually friends 😁😁😁 Chanhee and Binnie together with Sinbi? I think !? Eunwoo’s dream before was to become many things such as a doctor, prosecutor, and judge. On his’ school fest, someone cast him when he went to the bathroom. Poor JinJin has so little votes. He’s so sweet and adorable!!! Moonbin is friends with BTS’ Jungkook. They met through Seung Joon of KNK who introduced them in ISAC. Rocky is friends with Monsta X’s Jooheon. He even had an ‘Ultra Dance Festival’ stage with Monsta X’s Shownu, GOT7’s Jinyoung, NCT 127’s Ten, Seventeen’s Dino, and Hyeon Gyeong. Rocky was also on Hit the Stage. am I the only one noticing that in eunwoos profile there is a mistake. it was man man ha ni/am i that easy by u-kiss. not perfect man. that is shinhwa’s song. Actually it’s Man Man Ha Ni by U-KISS. According to the new Aroha fanclub book Moonbin’s height should be 181 cm and Rocky’s should be 177 cm! Maybe Park Jihoon of Wanna One? I heard that he was Fantagio trainee. He almost debuted with Astro but he got injured then left the company. So is Moon Bin’s first family name is Moon?? so his name just Bin?? or he has other family name like Lee Moon Bin or Park Moon Bin.. because like Sanha..his family name is Yoon and Moon Bin’s family name is Moon?? The lazy is moonbin and mj. 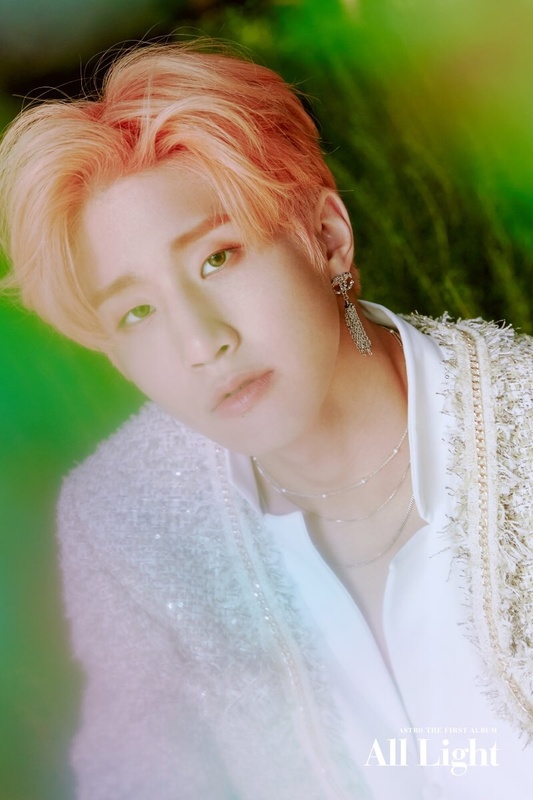 Favourite song of jinjin is baby. Favourite song of mj is because it’s you. Favourite song of cha eunwoo is again. Favourite song of moonbin is every minute. Favourite song of rocky is innocent love. Favourite song of sanha is I’ll be there. Eunwoo is the smartest among them next is mj. Eunwoo is the most heavy eater among them. The most talkative member was mj. 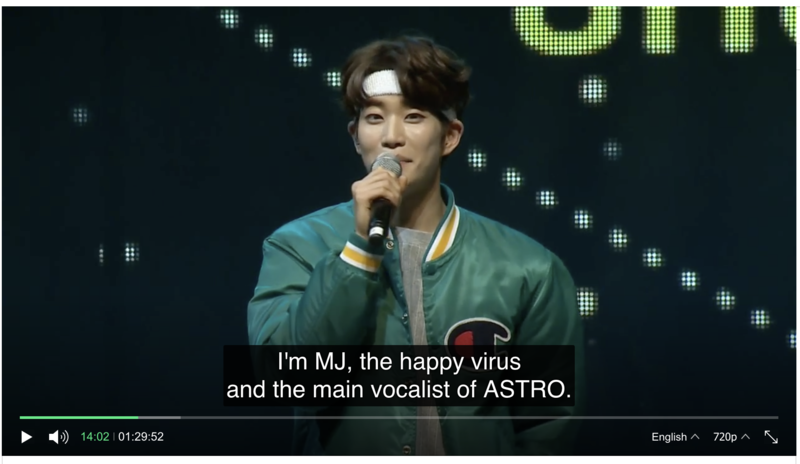 The funniest member is rocky then mj and jiinjin. Favourite food of eunwoo is meat. The person who takes the most of his appearance was rocky and next is jinjin. The most fun person in group is Mj and sanha. The member who used cellphone the most was binnie. Jinjin never leave his cellphone in a while whenever he is going to bathroom he always got his cellphone. The best person who watch movie with is eunwoo and jinjin. The best person to travel with is eunwoo. The best person to live with is jinjin. 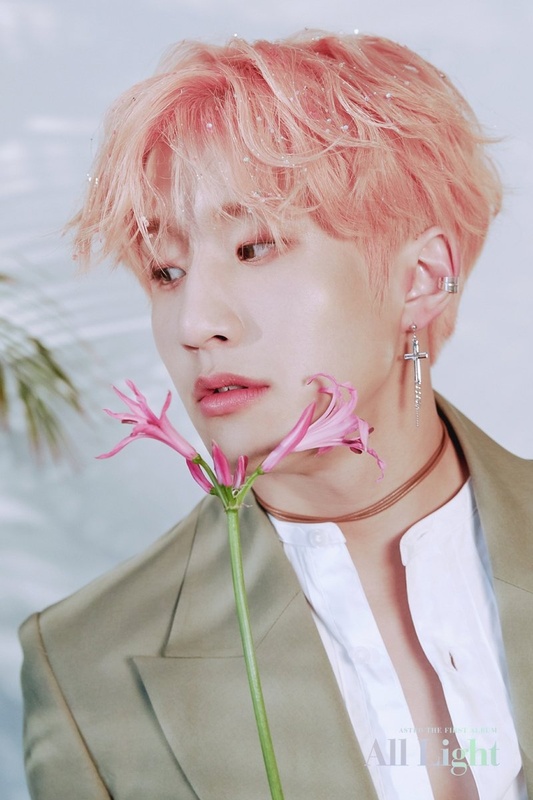 The most stylish member in the group is eunwoo ang jinjin based on the members. Mj is the worst stylish in group based on the members. Mj would like to act in sitcom something like highkick. 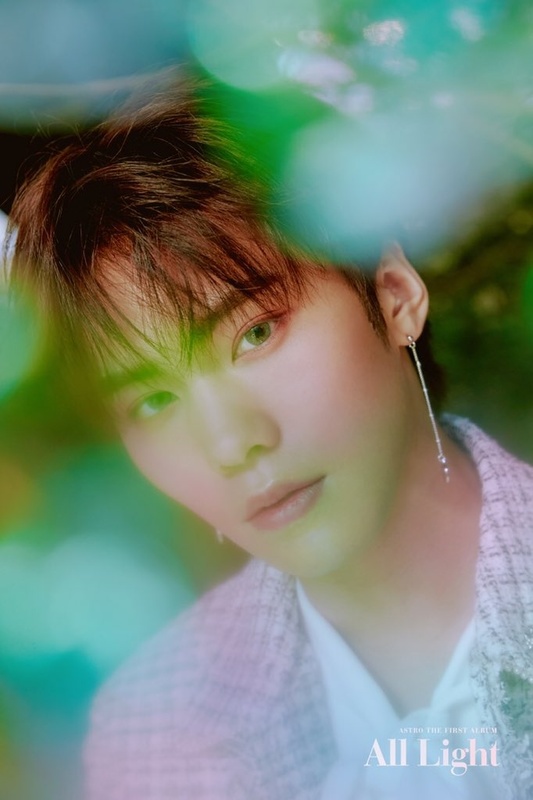 Sanha would like to collaborate with Yoo Seung Woo. 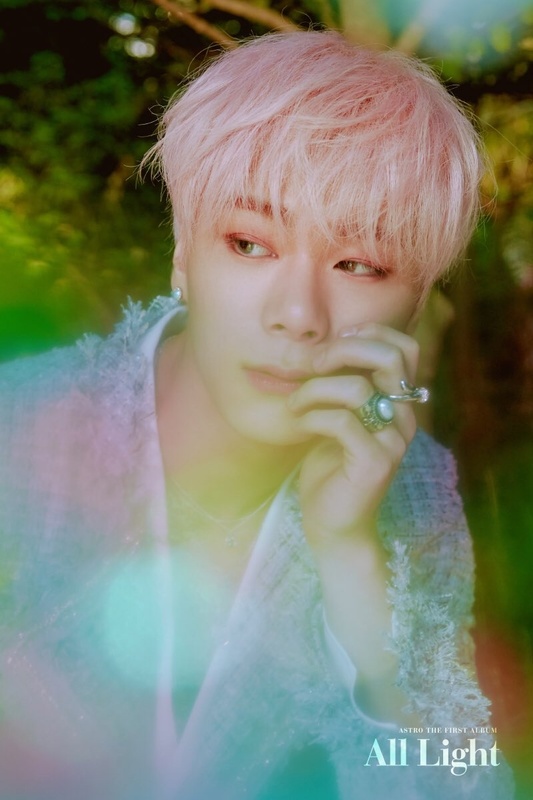 Moonbin would like to collaborate in korea with Jooyoung and in the other coutry is Justine Timberlake. Eunwoo would like to collaborate with Roy Kim. 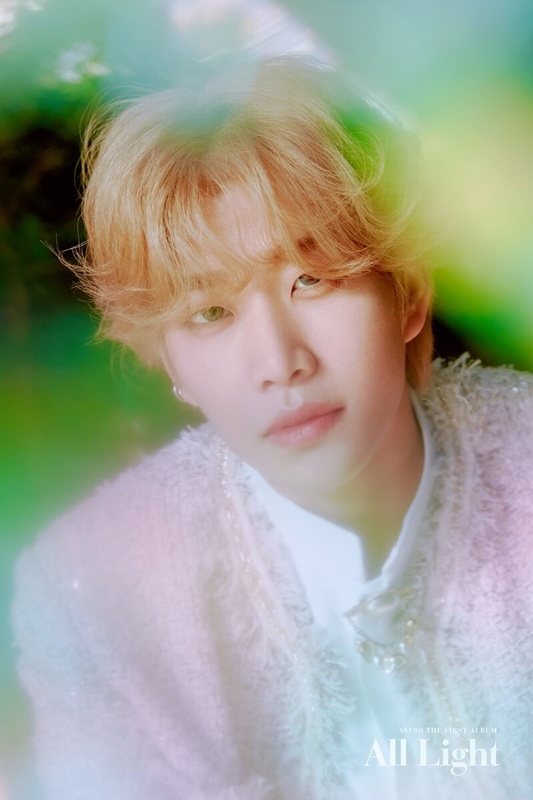 Jinjin would like to collaborate with American Rapper, Post Malone. Rocky want to collaborate/perform with Taemin. Mj wants to collaraborate BTS. 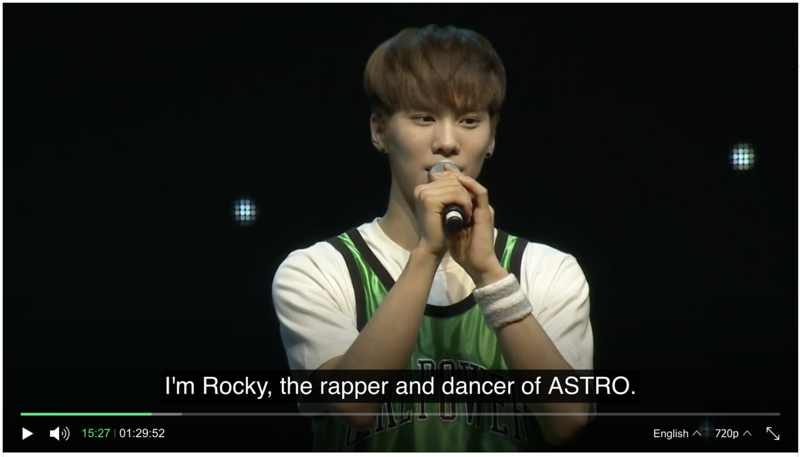 If rocky is not a kpop idol he will be a dance teacher or dance professor. If jinjin is not a kpop idol he will be a drummer. If eunwoo is not a kpop idol he will be a teacher,a doctor, a reposter or anchor. If moonbin is not a kpop idol he must be athletic, a swimmer. If mj is not a kpop idol he must be an architect designer. If sanha is not a kpop idol he must be playing electrical guitar. is this official or your own guess? Can we remove the lead dancer position from JinJin? Isn’t it a bit premature to base it on that source? if we base from that source alone, you should also remove moonbin as the lead vocal because the source provided only stated “vocalist” in the subs. lol anyways let’s support their comeback rohas fighting! Thank you for sharing your opinion! 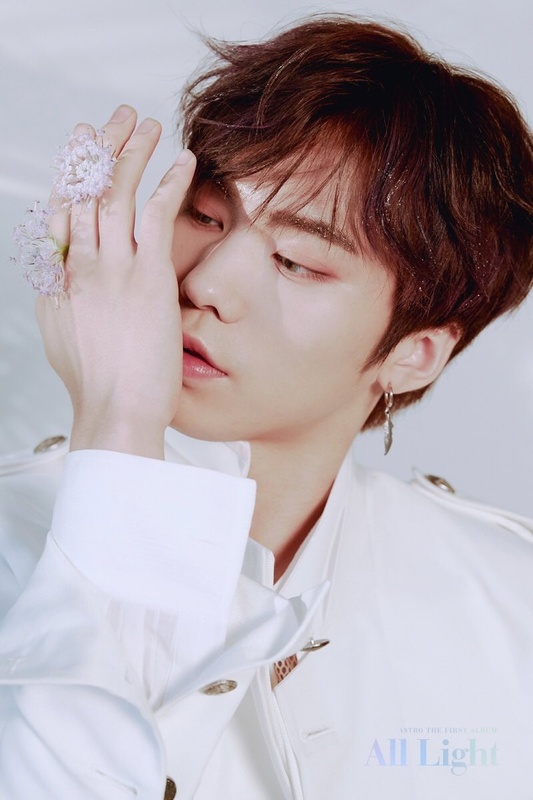 As you probably know, we had Sanha listed as Lead Vocalist before, but we usually adjust the positions when someone comes with proofs that the members or someone from their official staff said something else. 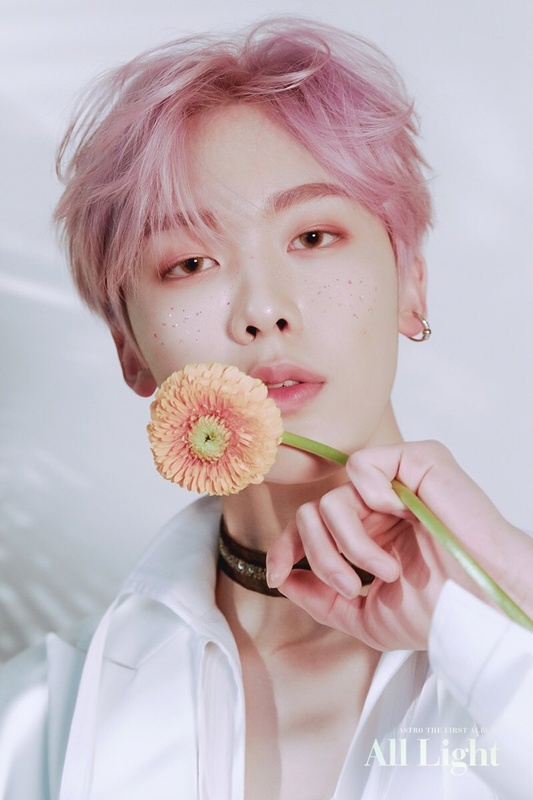 So please, if you can find any video, interview or any official source where Sanha said he’s a Lead Vocalist, please do provide it, and we’ll change his position accordingly. Thank you! 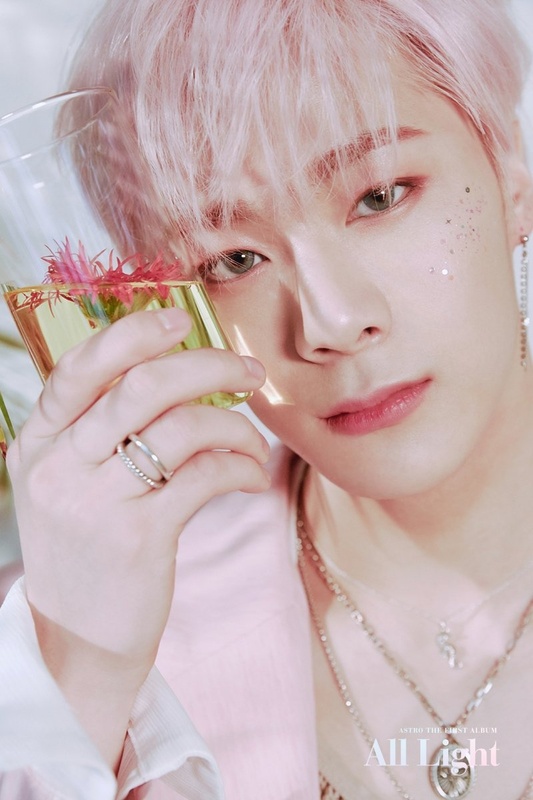 moonbin also shares birthday with monsta x’ i.m. I have no bad feeling on the situation but you should not change it before😅. .As I know Jinjin is lead dancer and also sanha is a lead vocalist😊 based on their predebut/background😊. 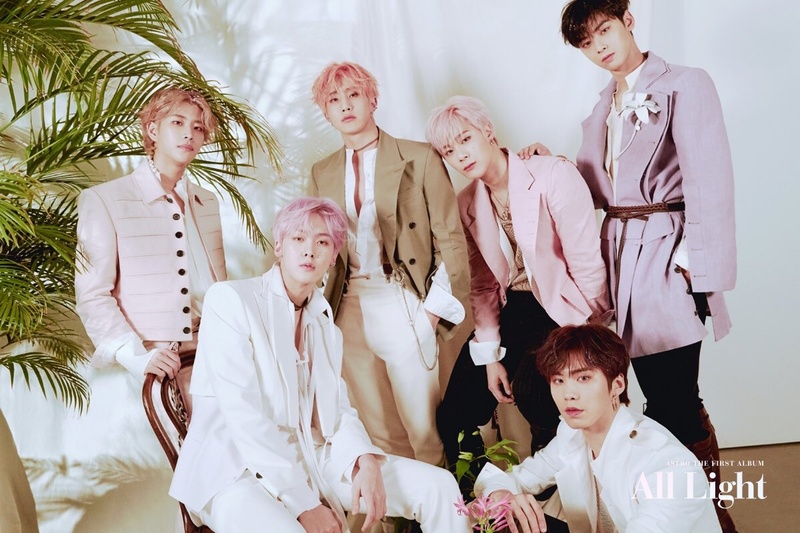 ASTRO, is a very cool, cute and talented group and i love their songs and MVs, I just wish, they were more loved and appericated by people. They are crazy talented. Love you Cha Eun Woo. cant you be a little nicer? Why would u say he is selfish and other things even though ur new? Sana’s story is different since she has to appear in the center a lot. She’s not part of dance line not because her dancing is bad but because she has another role. Then, moonbin shouldn’t be placed as lead dancer as well. Why did Eun Woo get a room by himself while other shares?? I didn’t know the guy acting in ‘My ID is gangnam beauty’ was in a kpop group. It’s so weird because I’m used to his expressionless face. He’s such a good-looking guy tho and the fact that he’s a natural beauty is impressive. how did you know? there are the video of that game? Sanha is a lead vocalist & JinJin is a lead dancer. Eunwoo was aded to the 97 liner gc, with BTS’s jungkook, GOT7’s Bambam & Yugyeom, Seventeen’s The8, Mingyu, DK, and NCT’s Jaehyun. how religious is sanha? is he strongly christian? moonbin is also close to imfact’s ungjae. ungjae, moonbin, and seventeen seungkwan have a group chat together. Cha Eun Woo was put in the 97 liners group chat! Isn’t Eunwoo graduated from Hanlim? so sad thats no have MJ’s profile??? Ok. Thanks for telling me about that! Jinjin said on their vlive that he’s with moonbin and minhyuk when they make a dance for Always You. Isn’t this a prove that his on the dance line. I thought that Rocky was part of the Hyung line. He is older than Jinjin right? I have been Aroha for a long time and have always thought that. Please help me. Yea why not, do you have insta? 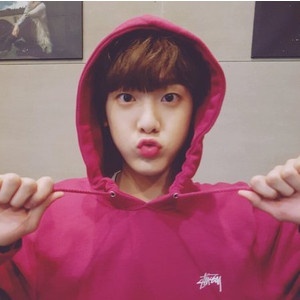 hi i just wanted to let you know that sanha only has 2 older brothers not 3 and he was accepted into fantagio on march 2 2013 not december 16 2012! for some reason these facts have always been spread incorrectly..
in all the fanpages that I visited it said he has 3 older brother, where did you get the info that he has just 2 older brothers? please tell me, I wanna know more about him. did he said it in interview or? Rocky has always been in the maknae line lol. 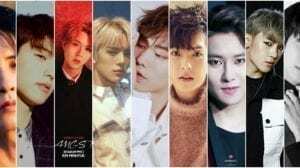 Rocky is blood type 0?? Wait. Is that a scar on Eun Woo’s arm? In Eunwoo’s facts, one of the drama he starred there is called Revenge Note not Revenge Not. Just correcting. 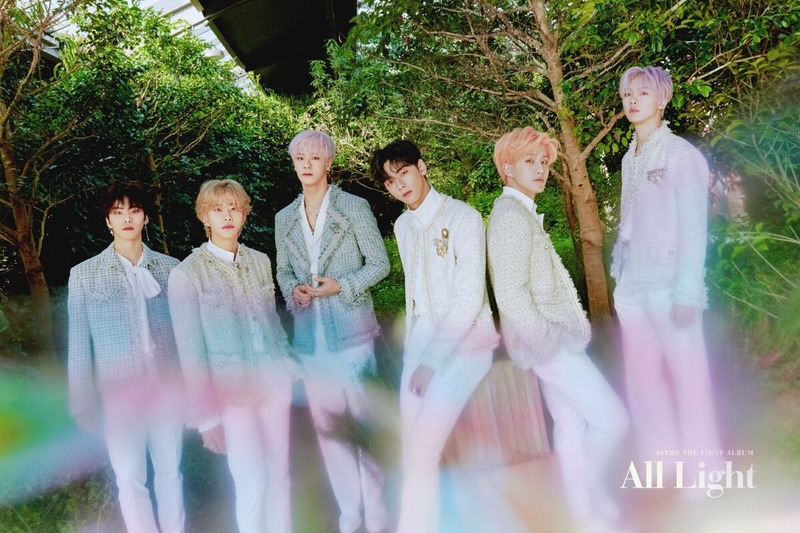 IS ASTRO RELEASING A NEW ALBUM??? Eunwoo is also one of the leads in Top Management on Youtube Premium. It came out in the fall of 2018.
moonbin is the center ! wait sanha’s ideal type is a girl who thinks about him a lot and asks him about his day? Well, time to pack my stuff, I’M MOVING TO KOREA! Bye Canada i’ll miss you! Actually, Moonbin and Rocky have always been introduced as ASTRO’s main dancers. That’s not Eunwoo, it’s a fan account. why does everyone besides eunwoo share rooms? bro i was about to scream lmao. Moonbin’s best friends are SF9 Chani , iKON Chanwoo & GFRIEND SinB and they were all Childhood Models. 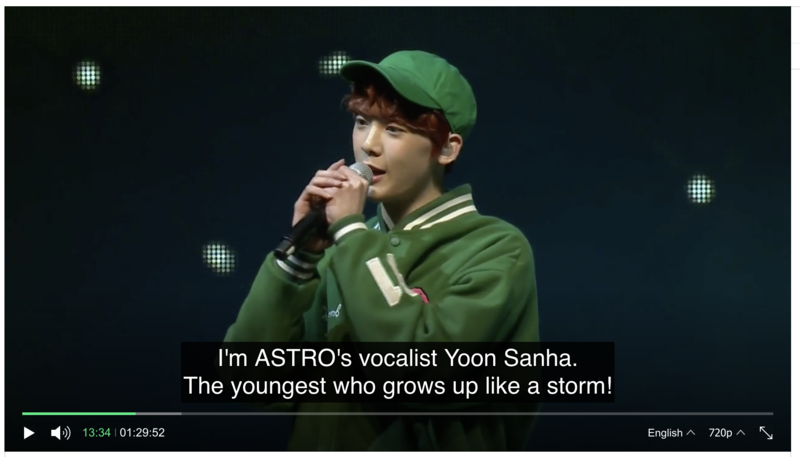 Sanha is a Lead Vocal not just a Vocal. Chani and Chanwoo are his childhood friends. Seungkwan and Ungjae are more like his bestfriends now. Although they’re obviously still friends, I don’t think he and Chanwoo are as close as they were (when they were kids) anymore. Well sorry to disappoint you but this is not true. I am a popular Astro Fansite on Weibo. And Chanwoo and Chani literally went eating with him the Day Astro got their first win and Moonbin still says on Fanmeets that those two are his best friends he is just growing close to Seungkwan and Ungjae but that does not change his best friends to childhood friends. I hope you understand. If that’s so, then that’s nice to know! I’d love to see the source though. Can you give me a link or something? Because I’ve seen no one talk about it and I’m all for supporting their friendship. 4/6 members have Instagrams! The official Astro account is following them. i would say seungkwan is closer, no? they went on a overnight trip together starting yesterday, and they hang out a lot. They also had that best friend pictorial for dispatch. Samira yes Seungkwan is growing really close to him I think even more closer than he is to Chani nowadays but Chanwoo is still his number 1 and if you would have Weibo or would have been at a Astro Fanmeet you would know that because Moonbin has already said many times that the Person he is most comfortable with is Chanwoo and Chani and nowadays he is mentioning Seungkwan alot so I think Seungkwan might have won over Chani if you wanna see it that way but Chanwoo according to himself is still his 1st. cusps aren’t real from astrology standpoint. he’s an aries. Oh ok. I wrote the day the MV was released.